The new factory jobs in Flint could take some of the sting out of GM's decision to close its Detroit Hamtramck plant, which leaves many of the plant's nearly 1,600 workers looking for transfers to other plants. Michelle Krebs is with Autotrader. She says the need to add blue collar workers shows the current high demand for trucks, and the white collar job layoffs anticipate the next economic downturn. "Automakers have not always done that," says Krebs. "They've waited until the bad times really hit to take action. And we're seeing them now, prepare." Krebs says the cost-cutting layoffs could also please investors, and the savings will allow GM to continue to invest in technologies that will become increasingly important, such as electrification, self-driving cars, and car-sharing programs. 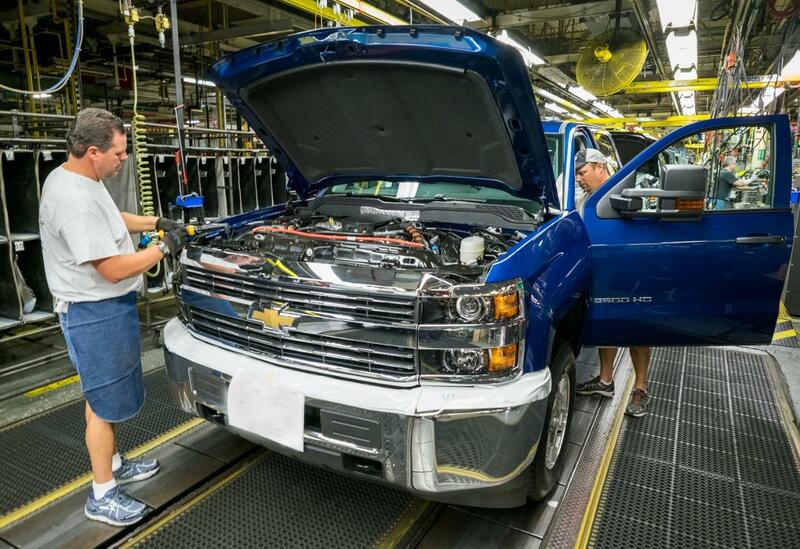 GM says it will help those laid off find new jobs, and that will be easier because the economy right now is good.